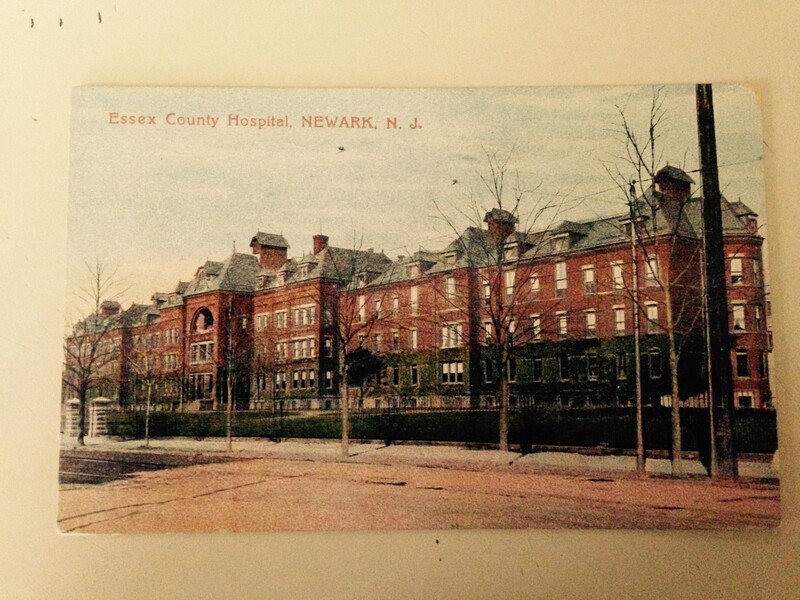 The Essex County Hospital for the insane was located at 425 South Orange Avenue. Built between 1882-1884 it occupied eleven and three eighths acres. The front building, facing the avenue, was over four hundred feet long. The rear building , parallel to the main building was connected to it by a three story wing. The hospital buildings were built of red brick and trimmed in stone. The latest word in caring for the insane , the building had all the “modern” conveniences in lighting, heating and ventilation, contained elevators and a fresh running water system. By the second decade of the 20th century Essex County had moved this institution to the Hilltop facility in Caldwell/ Verona. In 1925, West Side high School opened on the South Orange Avenue site. The sender of the post card included in this blog noted to the card’s recipient, ” this is where they keep those who suffer insanity”. Wow, John this is some great history. I did not know Newark had an institution for the MI.